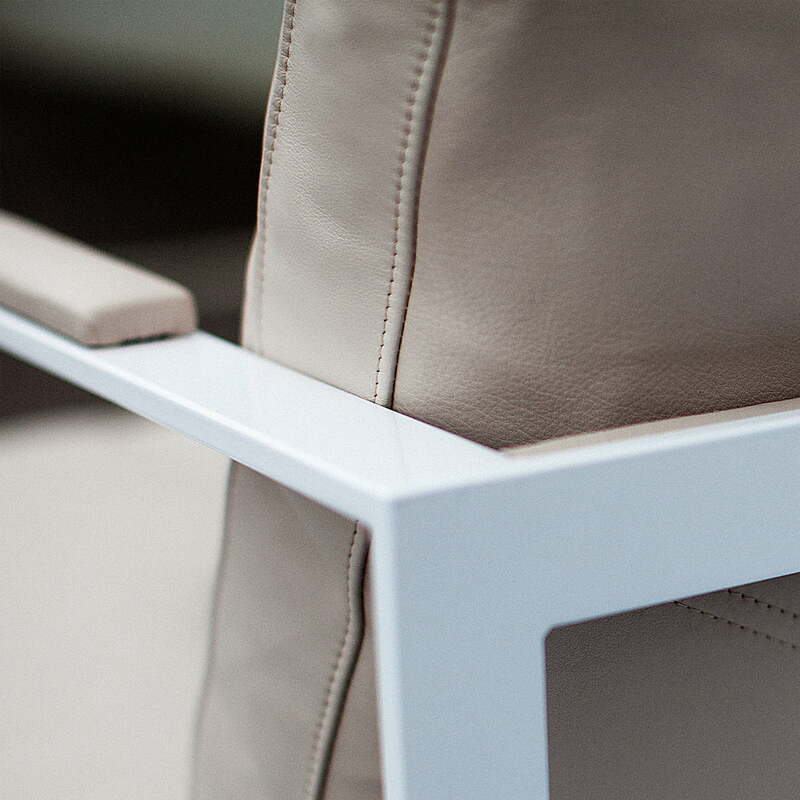 The Monaco Lounge Chair by Röshults combines relaxation with sophistication. Suitable both for the domestic living room and public areas, it is elegant and yet simple in its form. The lounge chair combines robust iron with soft leather and becomes the focal point in any room through the thin frame and inviting padding. Röshults presents a lounge chair with an untreated iron frame, in addition to the classical colours black and white. 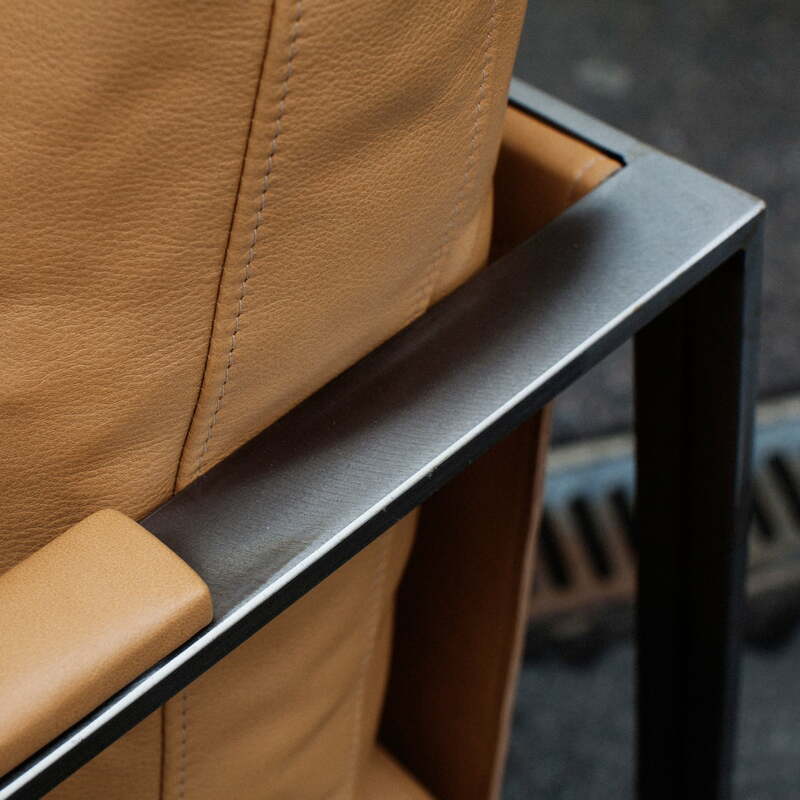 Small defects and welding seams are visible and tell the story of each individual chair. The leather comes exclusively from Scandinavian animals and is processed in Sweden. The pads are filled with high-quality down to achieve a high level of comfort and quality. Iron. Leather. Glass. 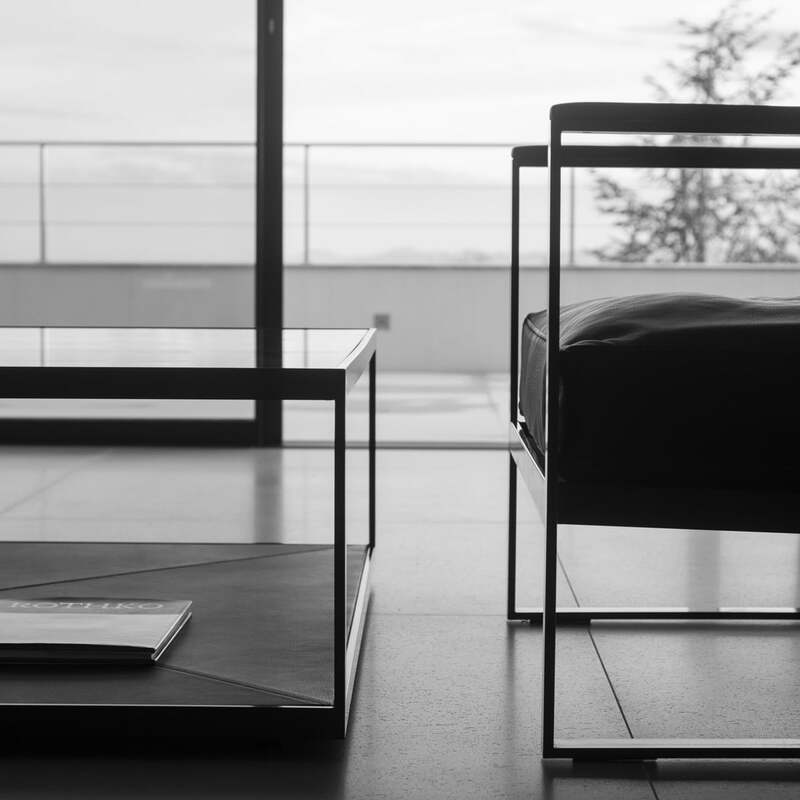 The Monaco Lounge Series by Röshults combines natural materials to an exclusive furniture series with an elegant form. The idea for the series comes from the Swedish designer duo Ridderstråle & Broberg. The Monaco Lounge Chair from Röshults is supplemented in the series by a 2-seater and 3-seater sofa as well as a side table in different sizes. All variations of the lounge chairs are adapted to the variations of the coffee table. 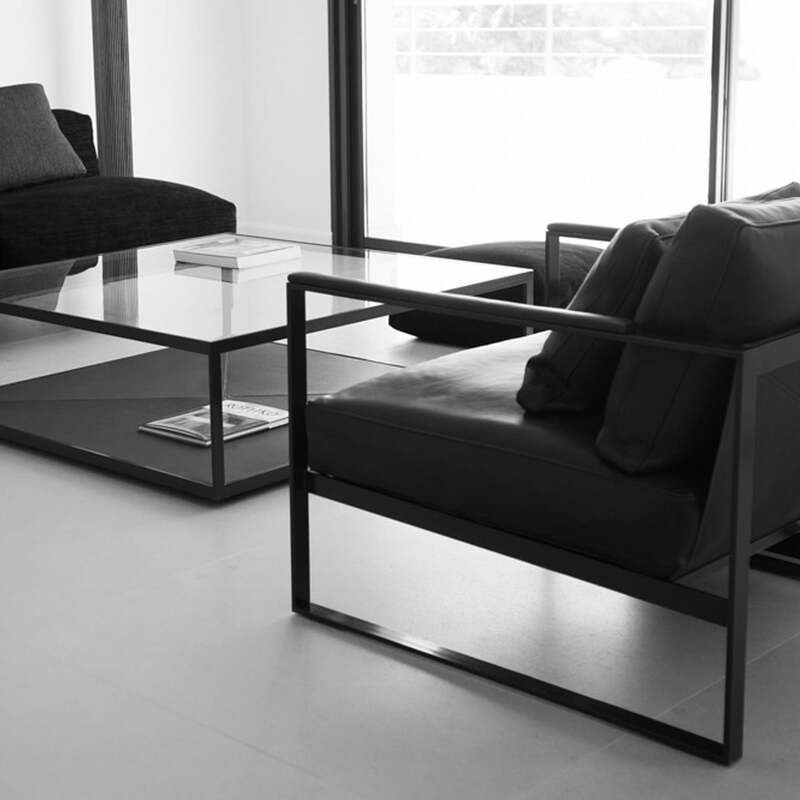 The frame and the pads of the lounge chair are available in various colours. 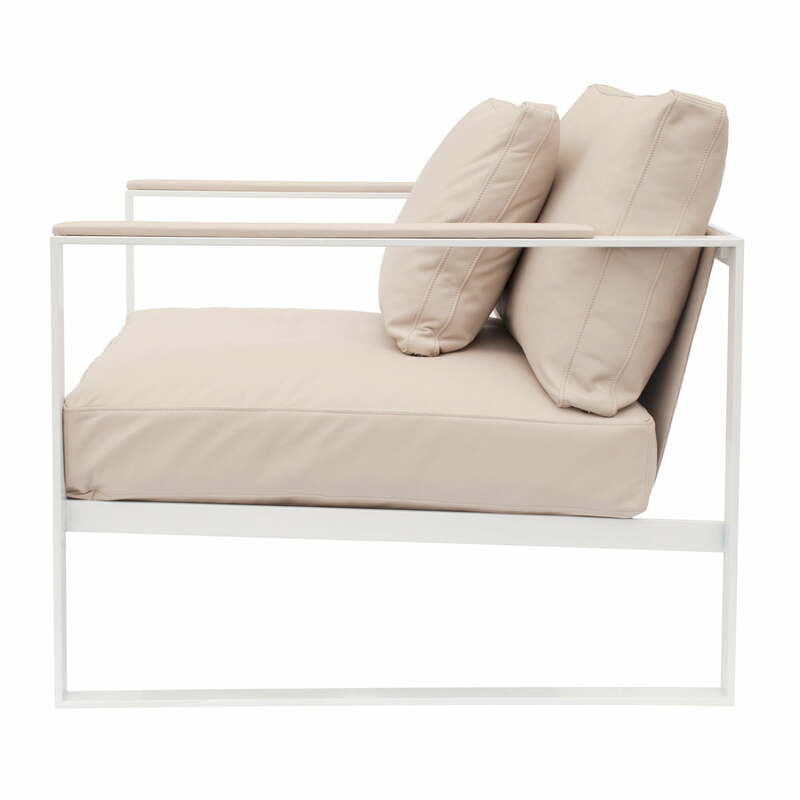 Individual image of the Monaco lounge chair by Ridderstråle & Broberg for Röshults with a frame made of iron in white and cushions made of Scandinavian leather in sand. 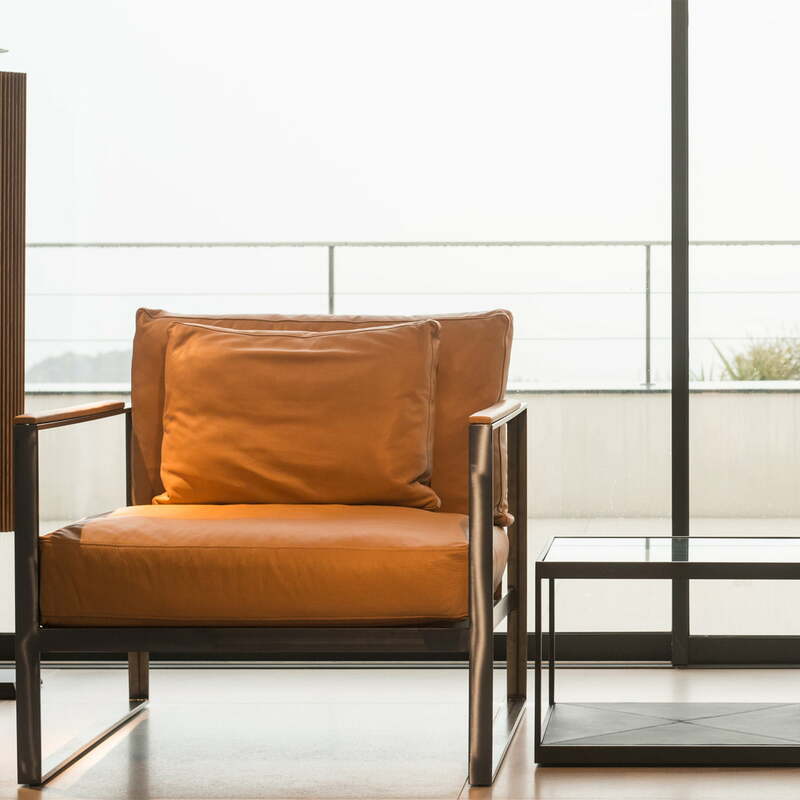 Individual image of the Monaco lounge chair by Ridderstråle & Broberg for Röshults with a frame made of raw iron and cushions made of Scandinavian leather in natural colour. 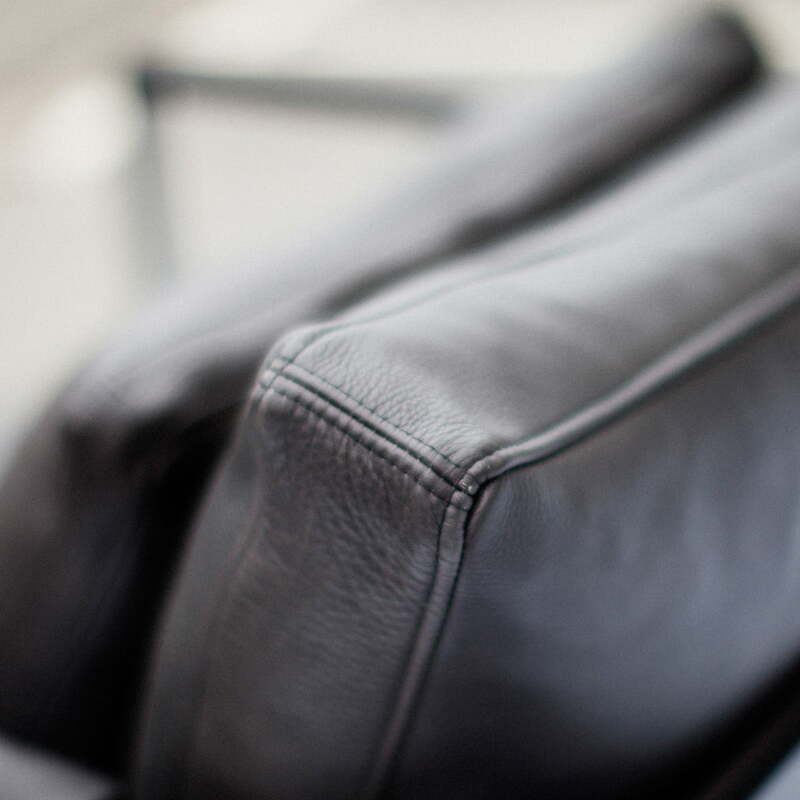 Individual image of the Monaco lounge chair by Ridderstråle & Broberg for Röshults with a frame made of iron in black and cushions made of Scandinavian leather in black. 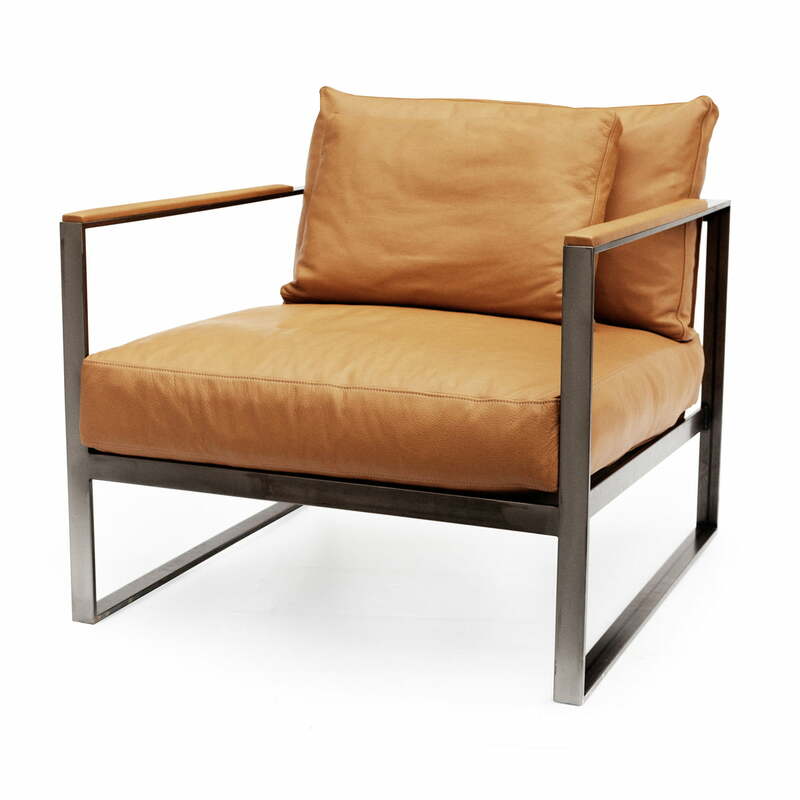 Individual image of the Monaco lounge chair by Ridderstråle & Broberg for Röshults with a frame made of untreated iron and cushions made of Scandinavian leather in natural colour. The Monaco Lounge Chair by Röshults combines relaxation with sophistication. Suitable both for the domestic living room and public areas, it is elegant and yet simple in its form. 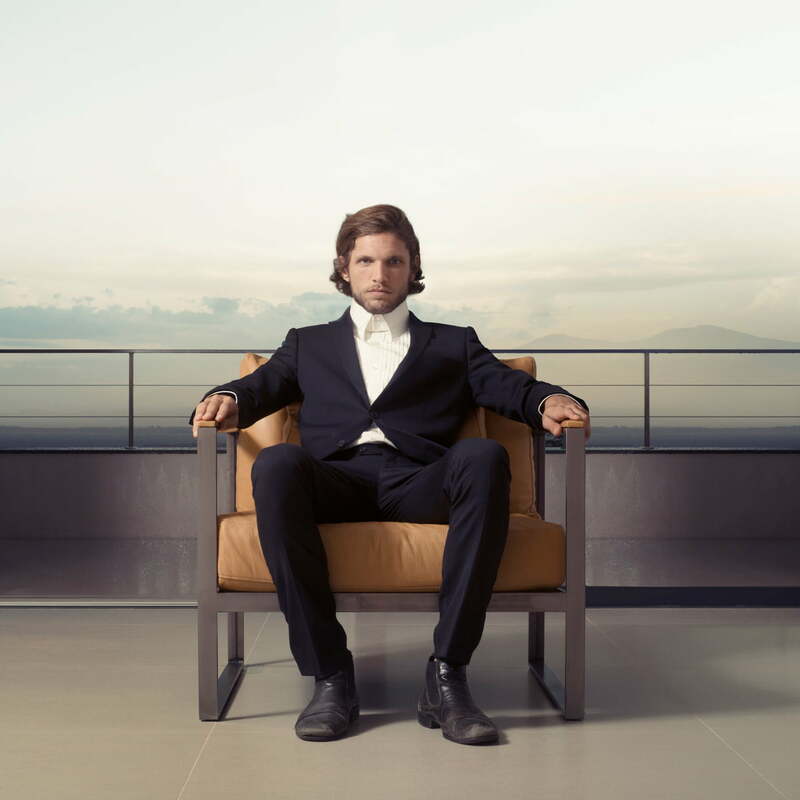 The Swedish manufacturer Röshults presents an elegant lounge chair made of untreated iron and leather, in addition to the classical colours black and white. The leather comes exclusively from Scandinavian animals and is processed in Sweden. The pads are filled with high-quality down to achieve a high level of comfort and quality. All variations of the Monaco coffee table from Röshults are adapted to the variations of the upholstered furniture in the lounge series by Ridderstråle & Broberg. The Swedish manufacturer Röshults presents an elegant coffee table with an untreated iron frame, in addition to the classical colours black and white. The Monaco Coffee Table from Röshults is supplemented in the series by a 2-seater and 3-seater sofa as well as a lounge chair. All variations of the table are adapted to the variations of the upholstered furniture.